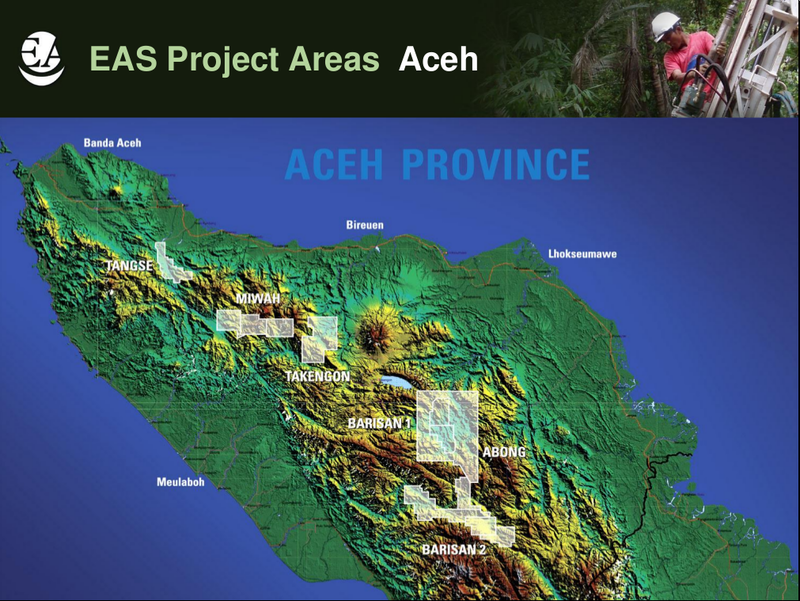 The boundary of the project has yet to receive final approval from the Indonesian and Aceh governments, so there is a possibility it may end up covering 20-25% less than the originally envisaged 750,000 ha. In 2010, Carbon Conservation announced a project with Asia Pulp and Paper, one of Indonesia’s biggest forest destroyers. Of course, Carbon Conservation has always worked with mining companies. Its first project was a A$3 million deal with Rio Tinto aimed at protecting 13,000 hectares of forest in Australia. Similar to 2009, much of our 2010 effort was focused on our flagship Miwah high sulphidation epithermal gold deposit. Miwah continues to yield an exceptional drilling success rate, and as we have gained confidence in the geometry of this huge gold system we have systematically increased the number of drill rigs on site. With four rigs on site we are now accelerating toward delivery of the maiden resource for Miwah. Our 2010 drilling has also been successful in increasing the footprint of the Miwah gold system, and has substantially established the continuity of gold mineralization toward Moon River. Indeed our improved understanding of the system also points to potential links between the Miwah system and the Sipopok project, approximately 1.5 km to the north. As we explore more, and understand the system better, we continue to find more gold, and to grow the system substantially. 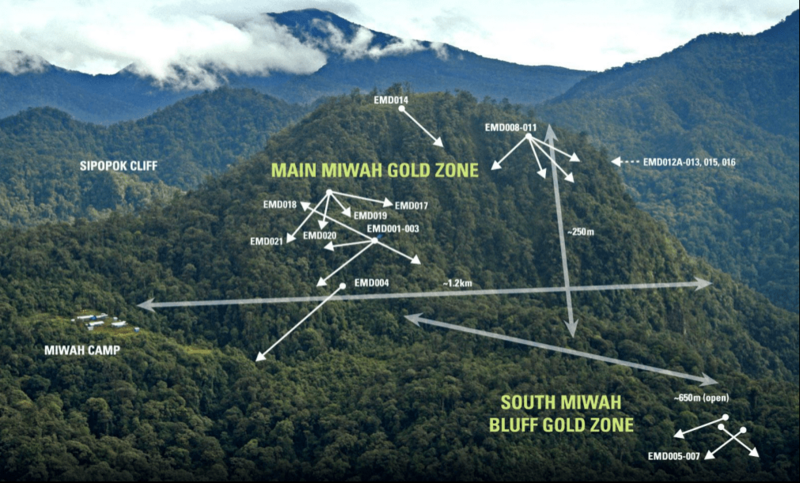 We are therefore confident that in Miwah we may have one of the larger gold discoveries of this exploration cycle. The deal between Carbon Conservation and East Asia Minerals reveals the sordid underbelly of REDD. East Asia Minerals gets to paint its mining operations green. Carbon Conservation gets to keep its bankers happy. Meanwhile Flora and Fauna International helps produce carbon credits from Ulu Masen that will be sold to polluting companies, ensuring that pollution elsewhere continues. UPDATE – 27 January 2012: REDD-Monitor would like to thank Down to Earth for translating this article into Bahasa Indonesia: “Perusahaan tambang akan membeli 50% saham Carbon Conservation: Akankah REDD membantu greenwashing (klaim hijau) pertambangan?”. We all knew that REDD+ offsets are often called “green gold”, but it seems that REDD+ has now actually gone bling! Based on on today’s share price quote, East Asia’s share transfer to Carbon Conservation under this deal will be worth in the region of $12,200,000. The East Asia Minerals Corp and Carbon Conservation Pty deal effectively means that about 48% of Carbon Conservartion’s assets will be gold mining rights. What next? Will Carbon Conservaton go platinum? Perhaps Dorjee Sun can now hang out in stretch limos with proper celebs like P’Diddy and 50 Cent. It is sickening that a MINING company will have to do anything with Carbon Conservation. This is just another way for a Canadian Mining transnational to deceive the world, attempting to make themselves look “Green”, when indeed they are mega destructive to the environment, nature,people and animal habitats. It is immoral, and the best example of double-standard for Canadian Mining to use carbon and biodiversity offsets to its benefit. In the initial concept documentation it was proposed that the Ulu Masen carbon offsets would be purchased by some company engaged in manufacture to offset carbon production produced by factories elsewhere. What is surprising with this deal is the notion that East Asia Minerals purchased the carbon offsets through Carbon Conservation and this is somehow going to leverage access to mining within the protected area. It will be interesting to see what the provincial government does now? Will they simply refuse access under existing legislation? If the deal goes through, no amount of marketing spin will hide the environmental impact. VANCOUVER, B.C. — Monday, August 15, 2011 — East Asia Minerals Corporation (TSXV-EAS) wishes to report on the findings of the review of all the Company’s activities conducted by the new management team and provide details of the strategy for the company going forward. East Asia has now completed eleven drill holes at Miwah since the initial resource was calculated in May 2011, with the objective of extending the resource north towards and into Moon River. East Asia has hit mineralization in seven of those holes (Refer to Miwah drill hole location map and assay table at http://www.EAminerals.com). Following a review of activities, East Asia has suspended all surface exploration at Miwah. The Company will re-focus its activities until the process to reclassify the forest designation at Miwah has resulted in a reclassification of the project that will permit open pit mining. During the review of activities the company notes that the bureaucratic process to acquire the required ground access permits from the Ministry of Forestry has not been completed. It is the view of the Company, that the forestry re-classification and finalizing the granting of all required permits provides more immediate opportunity to add value to shareholders than would additional drilling and resource extension. To this end, East Asia Minerals is implementing a new strategy to achieve this, which includes working full time with Carbon Conservation Pty Ltd. (see news release May 3, 2011). Concurrently, East Asia continues to advance pre-feasibility study level work at Miwah. Metallurgical work is advancing and is expected to be completed by year’s end (2011). On December share prices Dorjee’s shares value have tumbled from over $12M to just over $1M.